Type: Wanted rentals, For Sale - Private. 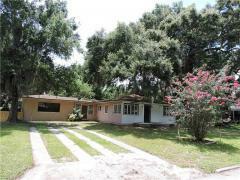 Pool Home in Auburndale on a large .36 Acre parcel with nice trees and foliage. Inside needs some work, so take a look and place your offer accordingly. Small room without closet could be 3rd bedroom. Living room with ceramic tile. Large Florida Room overlooking backyard. Master suite is big enough for King Size bed and all your bedroom furnishings. All Properties sold as-is without any guarantee or warrantee by seller. Buyer has right to cancel after home inspection. 4br Large Updated Custom Built 4/3 Home!! !